The Business Unit Future Applications and Media (FAME) supported Deutsche Telekom AG in developing the first Android based multimedia tablet of the tolino eReader family. 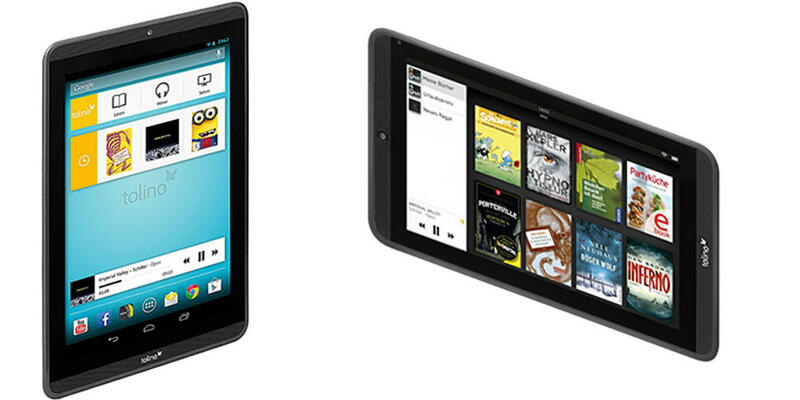 tolino is a german brand name for a number of tablets that targeting the eReader market. The tablets are developed under the hood of the so-called tolino Alliance. While the development is done under coordination of Deutsche Telekom selling is done by a number of German booksellers like Pageplace, Weltbild, Thalia, Bücher.de, Hugendubel and Bertelsmann Der Club. The latest members of the tolino Family are the tolino Media Tablets with 7 and 8.9 inch displays. In contrast to previous devices, which were eInk readers only, the new tablets are open Android devices where the tolino software is integrated. The tolino software seamlessly integrates the content consumption streams Read, Listen, and View into one application in which several bookshops and a music shop are integrated directly with tolino. Thus, customers can use their preferred shops. For customization recommendations are integrated and home- as well as lock-screen Widgets to control tolino functionalities are provided. Our Business Unit FAME was involved from the beginning with the first prototype implementation until finally the tolino multimedia device sales started in late 2013.